The Faint - Saturday, April 26 @ The Ready Room. Ben Kweller: Thu., April 17, 8 p.m., $18-$23. Off Broadway, 3509 Lemp Ave., St. Louis. Bluesweek Festival: W/ Royal Southern Brotherhood, Sat., May 24, 6 p.m.; Sun., May 25, 6 p.m., TBA. Chesterfield Ampitheater, 631 Veterans Place Drive, Chesterfield. Bruxism No. 2: W/ Catholic Guilt, Derek Dadian-Smith, Nyfolt, DJ Mister Ben, Fri., March 14, 9 p.m., $5. Apop Records, 2831 Cherokee St., St. Louis, 314-664-6575. Ded Weight Release: W/ Willis, Playing Possum, The Vanilla Beans, Animal Teeth, Fri., Feb. 28, 9 p.m., free. Livery Company, 3211 Cherokee St., St Louis. Eels: W/ Chelsea Wolfe, Fri., May 23, 8 p.m., $31-$36. The Sheldon, 3648 Washington Blvd., St. Louis, 314-533-9900. 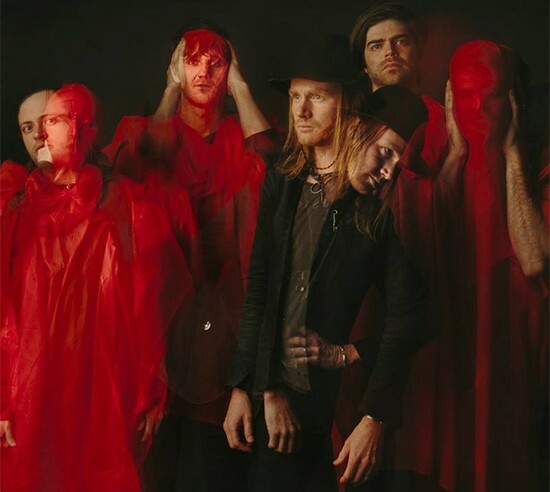 The Faint: Sat., April 26, 9 p.m., $20-$23. The Ready Room, 4195 Manchester Ave, St. Louis. Hellogoodbye: W/ Vacationer, Sat., May 10, 8 p.m., $15-$17. The Firebird, 2706 Olive St., St. Louis, 314-535-0353. Kate Nash: Fri., April 4, 8 p.m., $15/$18. The Ready Room, 4195 Manchester Ave, St. Louis. Marcus Roberts Trio: Thu., May 8, 8 p.m., $35-$40. The Sheldon, 3648 Washington Blvd., St. Louis, 314-533-9900. Mates of State: Thu., April 17, 7 p.m., $20-$22. The Ready Room, 4195 Manchester Ave, St. Louis. Needtobreathe: W/ Foy Vance, Fri., June 13, 8:30 p.m., $28.50-$36. The Pageant, 6161 Delmar Blvd., St Louis, 314-726-6161. The Old Souls Revival CD Release: Fri., March 7, 10 p.m., $5. Stagger Inn Again, 104 E. Vandalia, Edwardsville, 618-656-4221. Pearl & the Beard: Fri., March 14, 9 p.m., $10/$12. Old Rock House, 1200 S. 7th St., St. Louis, 314-588-0505. Per Aspera: W/ Perfect People, Arsenals, Tue., March 4, 7 p.m., free. Cafe Ventana, 3919 W Pine Blvd, St. Louis, 314-531-7500. SXSCity: W/ The Jungle Fire, Mike Wehling and the Reverbs, Jason Hutton, Ransom Note, Fri., March 14, 7:30 p.m., $7. W/ Bagheera, Jedi Nighties, Cree Rider Family Band, Karate Bikini, Tommy Halloran's Guerilla Swing, Sun., March 16, 7:30 p.m., $7. Off Broadway, 3509 Lemp Ave., St. Louis. Tori Amos: Fri., Aug. 1, 7 p.m., $39-$59. Peabody Opera House, 14th St. and Market St., St. Louis, 314-241-1888. UNDERCURRENT: W/ Loose Screwz, Lumpy & the Dumpers, Fluff of Murder, Trauma Harness, Thu., March 27, 9 p.m., free. Schlafly Tap Room, 2100 Locust St., St. Louis, 314-241-2337. You Me At Six: Mon., May 12, 7 p.m., $18-$48. Fubar, 3108 Locust, St. Louis, 314-289-9050.